Two Nebraska players earned Winter Academic All-Big Ten status, the conference announced Wednesday. Junior forward Tanner Borchardt and sophomore guard Johnny Trueblood were both named from head coach Tim Miles’ squad. 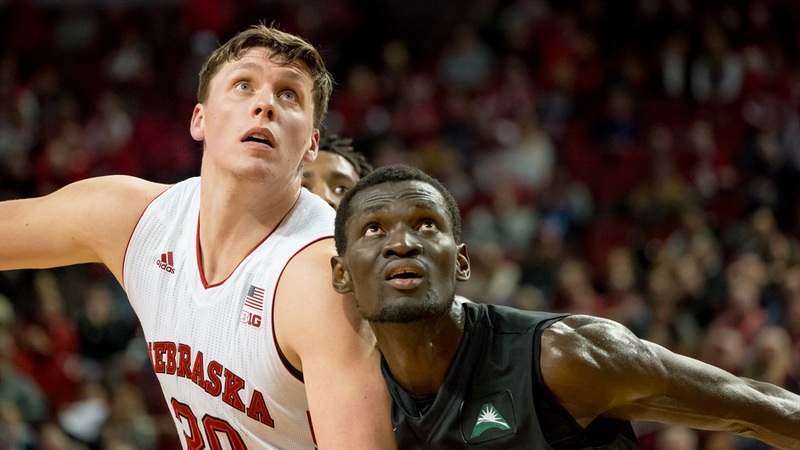 Under Miles, Nebraska has now had 17 Academic All-Big Ten selections in six season. For Borchardt, a walk-on from Gothenburg, it’s the second-straight selection of his career. For Trueblood, a walk-on from Omaha, it’s his first. To be eligible for Academic All-Big Ten selection, athletes must be letterwinners in at least their second academic year at their school and have a cumulative GPA of 3.0 or better. Neither was highly involved in the on-court product for the Huskers in 2017-18 but still contributed. Borchardt averaged two boards in six minutes a night across 20 appearances while Trueblood only made seven appearances. The duo joins another 64 Huskers who earned winter honors. Nineteen members of the Husker women’s swimming and diving team, 16 members of the wrestling team, 15 members of the men’s gym team, 9 members of the women’s gym team and five members of the women’s hoops squad — seniors Jasmine Cincore, Janay Morton and Emily Wood, junior Maddie Simon and sophomore Grace Mitchell.